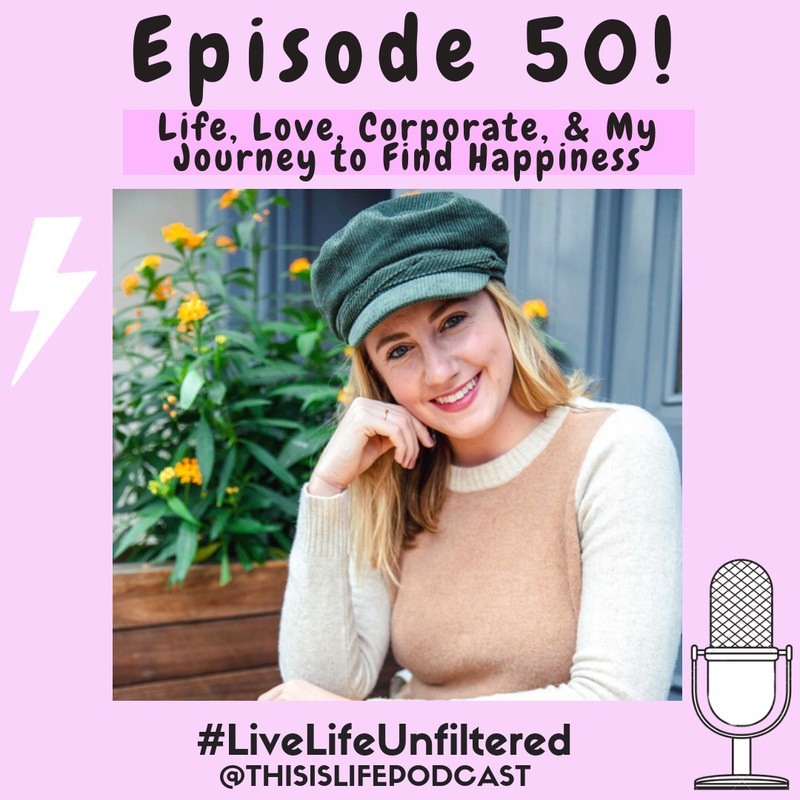 I truly can’t believe 50 episodes of my podcast This is Life Unfiltered are live today. 50 weeks ago I was living in Boston, in a relationship!, not anywhere close to knowing where I envisioned my company going over the next year. Then I moved to LA. I landed myself a show on Radio Disney. I left my perfect apartment, my family and best friends on the East Coast and did what I do best: got out of my comfort zone and started completely fresh in a new city. And let me tell you: LA is the hardest city to adjust to out of all the cities I’ve ever lived in. Now I live in LA. I’m single and thriving in my career and my journey to find happiness. I have incredible friends. I wake up everyday so satisfied with the life path I’ve chosen (even if I don’t wake up totally happy, I go to bed happy). I’ve ended a decent amount of toxic relationships since I’ve moved here. I even became friends with people in this city who I realized weren’t the type of people I should be hanging out with and I ended those relationships too- because they weren’t bringing value to my life. I might’ve been bringing value to theirs, but they definitely weren’t showcasing the type of traits friends should have. Like compassion, honesty and drive. I’ve realized that to progress in my life I need to be surrounded by a certain type of person, and those aren’t the people that are quite frankly going out every night and not waking up until 6 PM. Those kind of people have their place but I don’t think it’s in my life. You have to sift through a lot of people to get to the kind of people out there who will bring you up, not down. It’s called the pursuit of happiness isn’t it? And we’re all on that same pursuit.